In early 2016 I was asked by Matthew Herbert to help him with his Edible Sound project at Science Gallery London. We talked through a number of approaches to making sound edible, before settling on making laser-cut records out of food. Inspired by this instructable, I initially set to work producing a limited edition playable tortilla record. This ended up looking really great, and sounding completely bonkers. 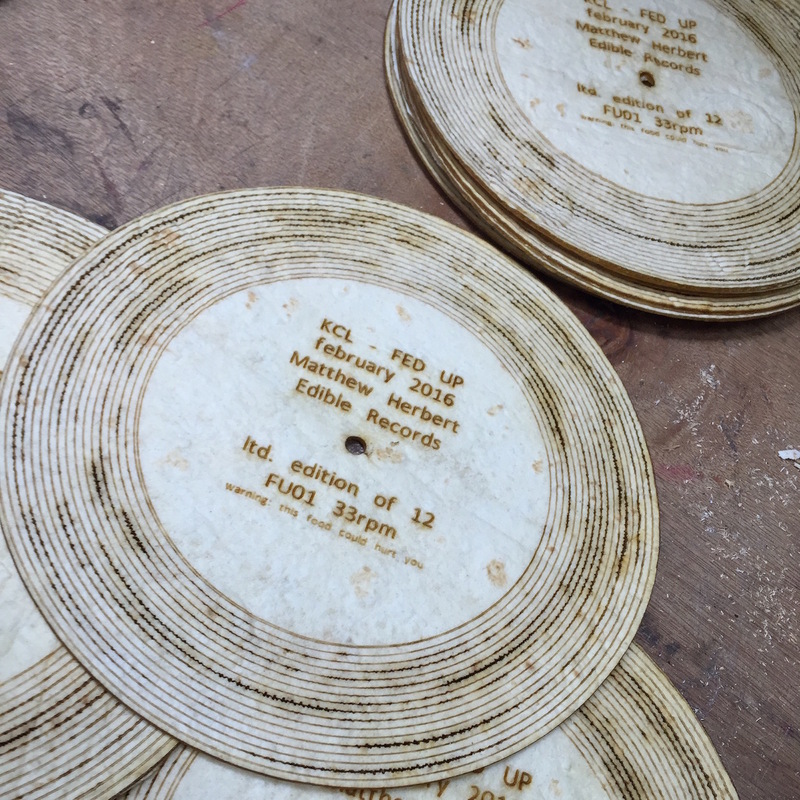 For the second part of the project, which was part of the Science Gallery’s FED UP series, we explored the possibility of cutting records out of a number of different edible materials. We tried sugar glass, apples, cheese, celeriac, swede, and much more – it was messy and hilarious. In the end it was very challenging to cut actual sound waves onto those different materials, but we stumbled on to a different discovery: different edible materials all sound really interesting when played on a record player. By laser cutting simple locked grooves onto different food items Matthew was able to build up their different textures in a really fascinating way. This video from the Science Gallery shows the final event, which unfortunately I wasn’t able to attend.